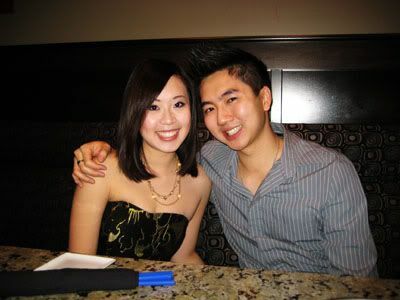 First up was my birthday celebration at the Melting Pot Fondue Restaurant that just opened up this summer. I had gone only for dessert before, so I was looking forward to experiencing everything they had to offer. I called a month in advance to book my group party, and it actually was quite a lengthy process to get everything planned properly. 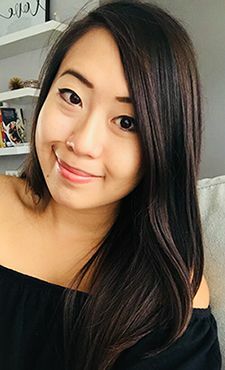 I was required to sign documents, pre-plan the menu, and work together with the party coordinator to make sure everything would go smooth on the day of the party. In the end, everything worked out, and I was worry free! 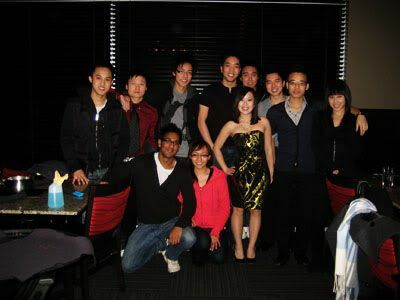 I had chosen to go with the traditional menu, comprised of a custom 4 course menu. I was able to choose two cooking styles per course, which was a nice alternative for us to try many of the restaurants offerings. And for $36 (exclusive of tax & tip), I thought it was a steal! As we arrived, we were lead to a separate room from the rest of the restaurant, where they usually put their bigger groups. It was nice to have the area to ourselves to enjoy our dinner. The first course was a cheese fondue, and I chose to go with the Fiesta Cheese fondue, and the Fondue a la France on their Feature Menu. 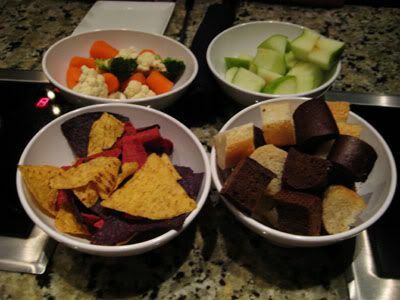 The cheese fondue was served with green apples, cauliflower, broccoli, carrots, tortilla chips, and assorted breads. 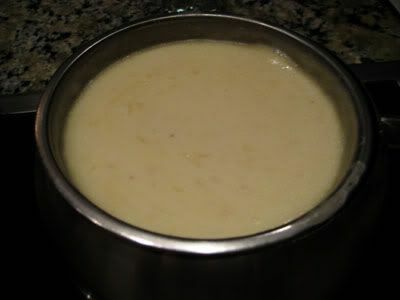 Fiesta Cheese fondue was beer based, and made with cheddar cheese, Mexican herbs, spices, jalapeno peppers, and salsa. 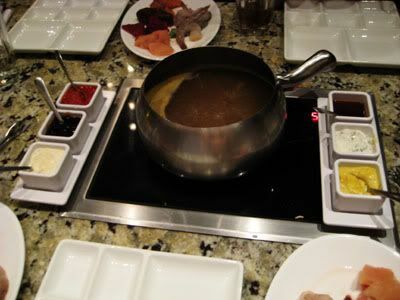 It was really interesting to see how the fondue was put together, as our waiter for the night prepared all the fondues tableside. He was very attentive, and a fantastic host for the night. I really enjoyed the flavours put together in this fondue, and the jalapeno peppers provided a nice kick in the creamy mixture. Fondue a la France, on the other hand, was white wine based, and made using baby brie, fontina, guyere, and raclette cheese, with bacon, white truffle cream, onions and fresh chives. Of the two fondues, I didn't like this one as much, since the wine taste was quite prominent. The second course was a salad, and we were able to choose between two options. 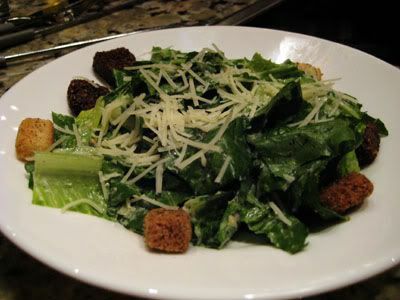 The first choice was a classic caesar salad composed of romaine lettuce, croutons, shredded parmesan cheese and topped with pine nuts. 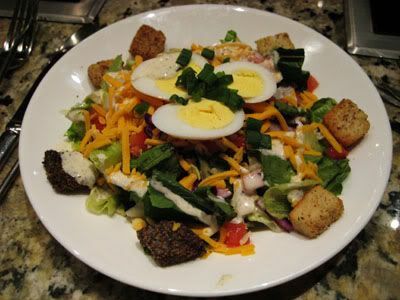 The other salad was a house salad made with romaine and iceberg lettuce, topped with cheddar cheese, tomatoes, croutons and sliced egg, drizzled with our choice of peppercorn ranch, or the sweet, tangy house dressing. I ordered this one, and it was way bigger than the caesar salad! I would say maybe even double in size due to the sheer amount of toppings on the lettuce. It was also refreshing, which was great to cleanse the palate! 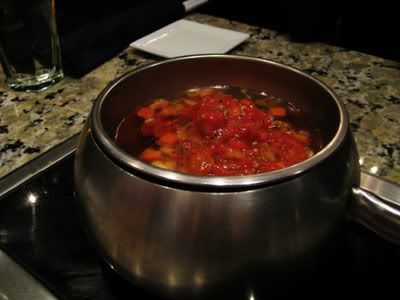 The third course was our entree fondue. 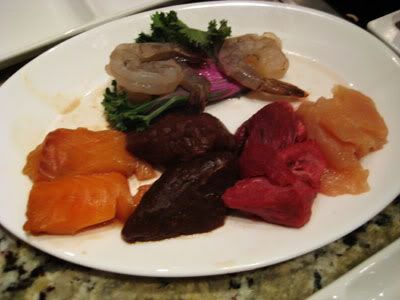 The traditional menu allowed each person to have three large shrimp, two chicken breasts, two filet mignon cuts of beef, two pieces of teriyaki sirloin, and two pieces of cedar plank salmon. 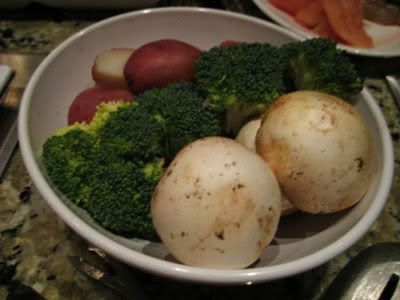 To share with each other was a bowl of vegetables, including broccoli, mushrooms and potatoes. I had chosen two different cooking styles - one the coq au vin, and the other being the mojo style. Served up with six different dipping sauces, this course was sure to please in one way or another. Both were clear broths, but with very different, distinct flavours. Coq au vin was a red wine base with fresh herbs, garlic, mushrooms and different spices. Everything that was cooked in it turned a faint red colour, so cute! Mojo style was a Carribean seasoned bouillon with fresh garlic and citrus. Our waiter squeezed half an orange and lime into the broth, really kicking up the intensity of the citrus flavour. I loved the Mojo style! Both broths were very flavourful, but being a little averse to wine, I was biased towards the Carribean flavour. It was fun trying out what I like to refer to as "Caucasian hot pot", and having some idea of how long to cook the meats was definitely to my advantage. Nothing was overcooked and everything was tender, and tasted amazing with the sauces provided to us. Dipping sauces we had to try included a curry sauce, plum, teriyaki, cream cheese & chive, yogurt and a spicy sauce. Our waiter suggested we try mixing the sauces, and to create his favourite: curry sauce + teriyaki sauce to make curriyaki sauce. It was actually such a delicious sauce too! 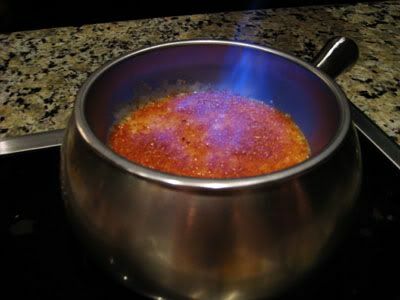 White Chocolate Creme Brulee Fondue! After the entree, I was STUFFED. I didn't know how I would be eating dessert with everyone else, but somehow it just happened! 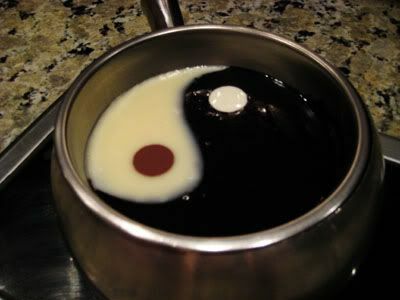 I had chosen to go with their Yin & Yang chocolate fondue, and the featured white chocolate creme brulee. 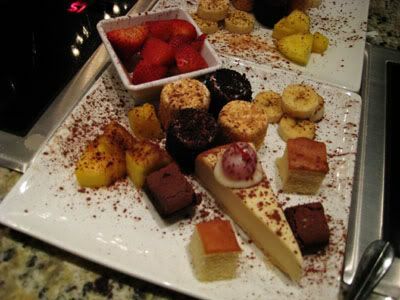 The presentation of each fondue was beautiful, but the highlight for me was definitely the creme brulee fondue. Our waiter generously sprinkled coarse sugar atop the chocolate, and torched it!! It was amazing to watch, and the chocolate tasted so amazing and creamy with little bits of crunchy sugar here and there. So many desserts to eat! 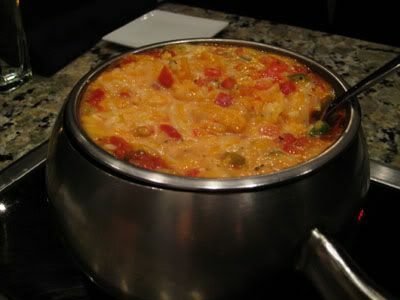 I will definitely be back to Melting Pot sometime again in the future. I don't see it being a practical place to have dinner often, as our dining time that night was three hours long, and everyone was stuffed beyond belief. It will be great to come here again in the future for a party with friends or family though. I almost can't wait until the next time I'll be back! Thanks for coming guys, you're the best!! One of the Best Days of the Year!